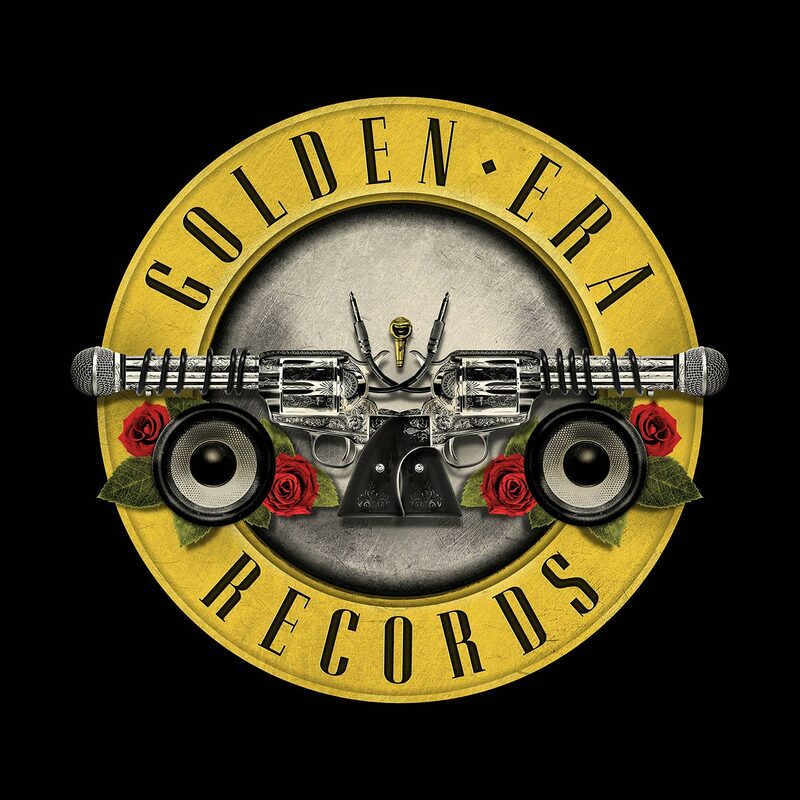 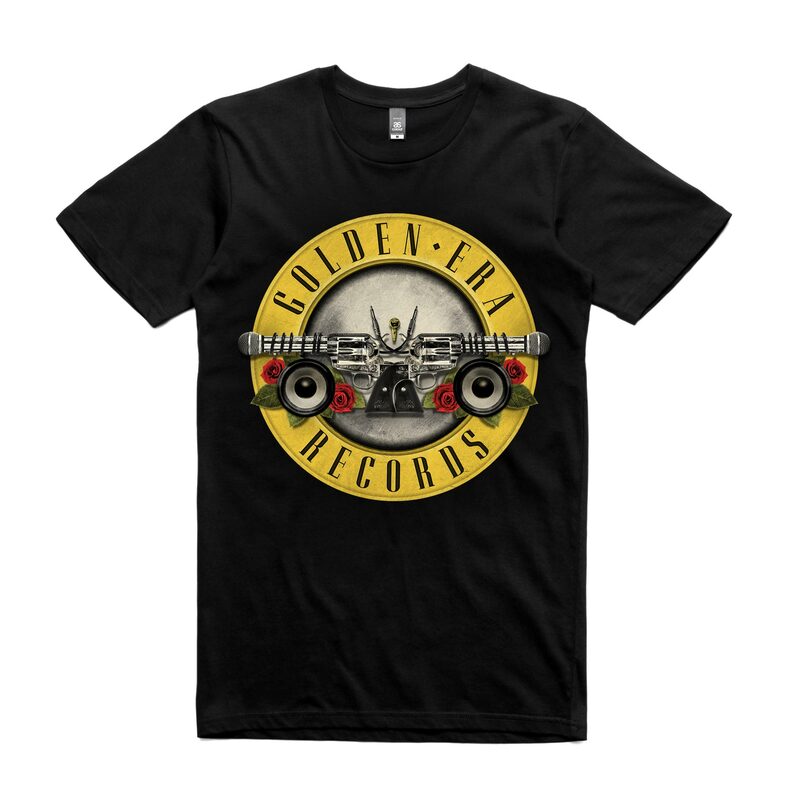 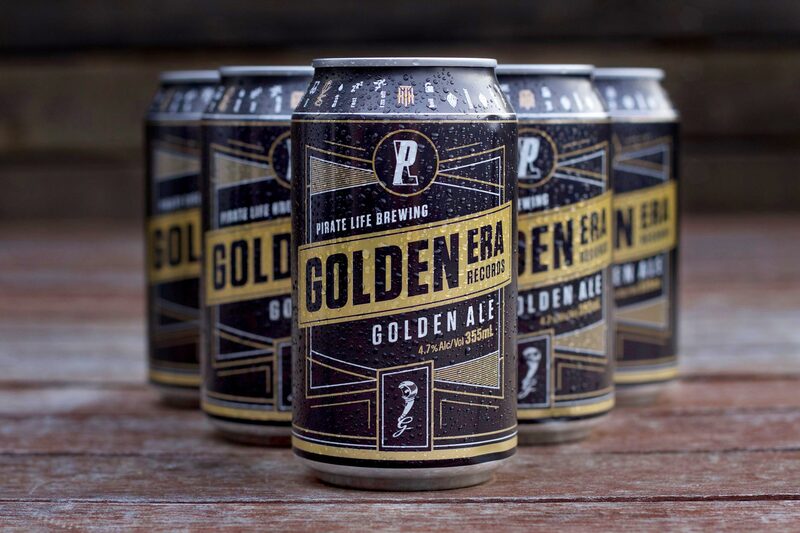 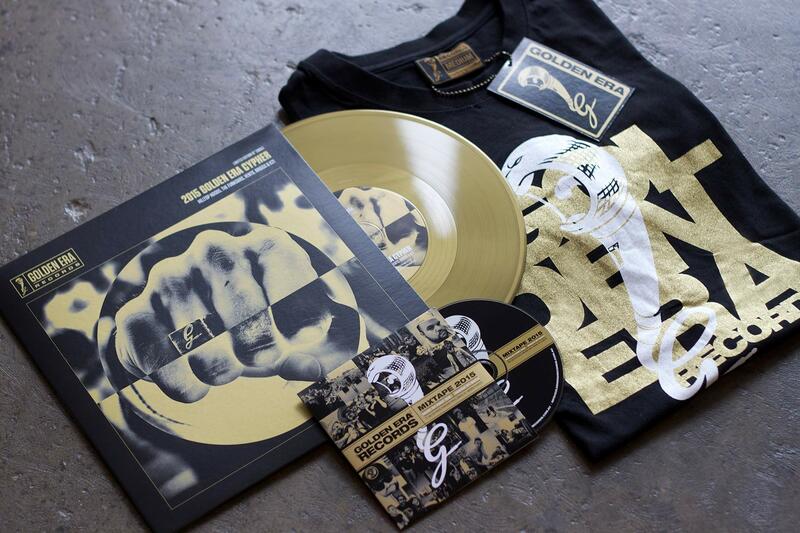 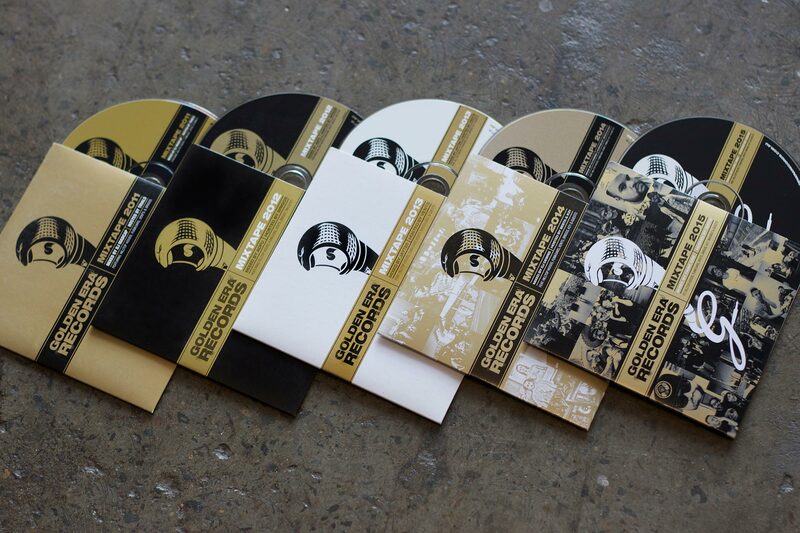 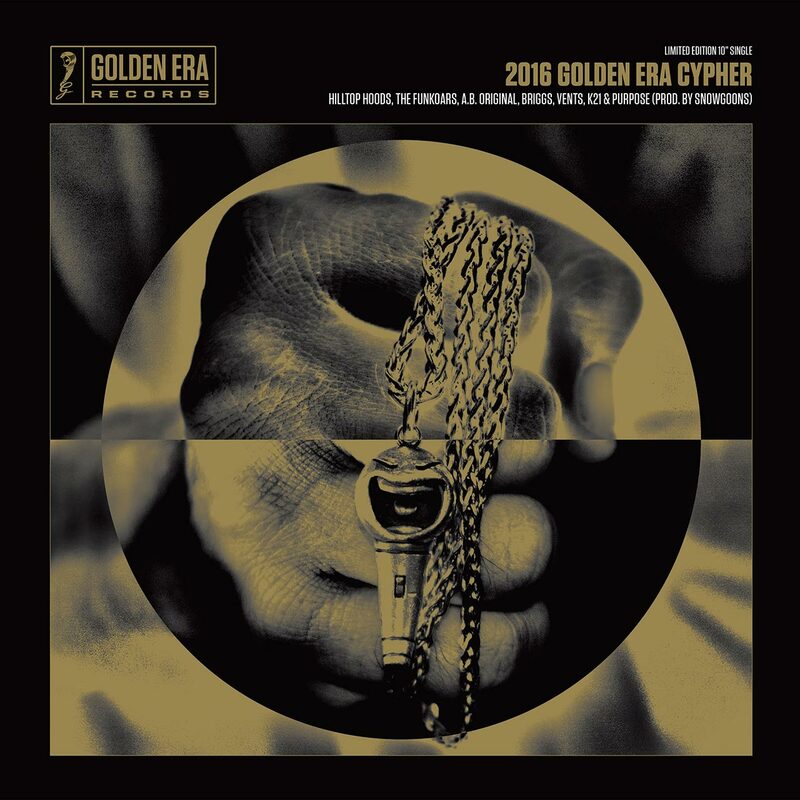 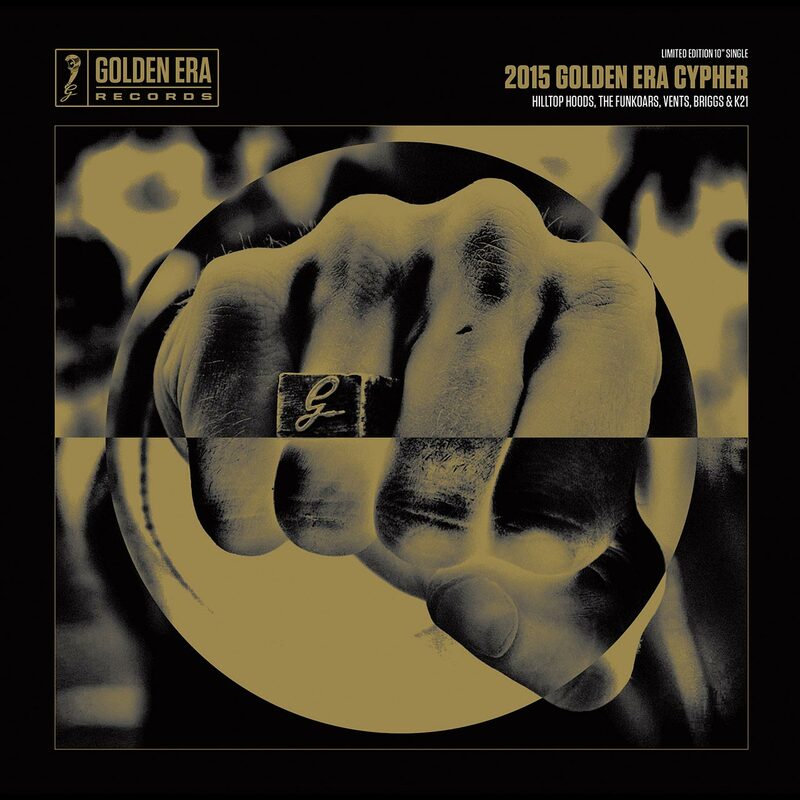 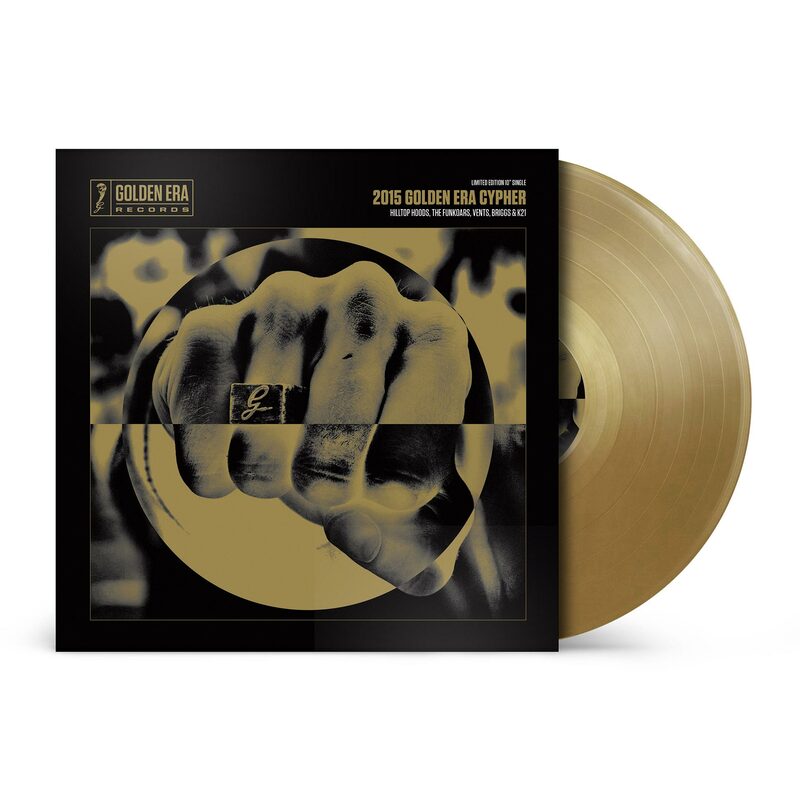 Golden Era Records is the home of Australian Hip Hop heavy weights Hilltop Hoods, Funkoars, Briggs, K21, Adfu and Vents. 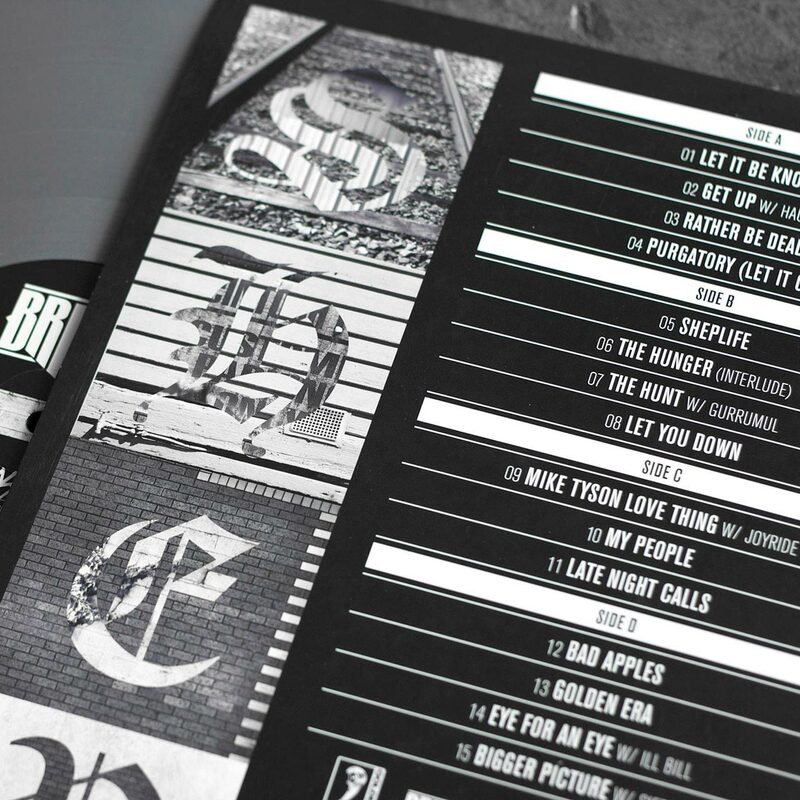 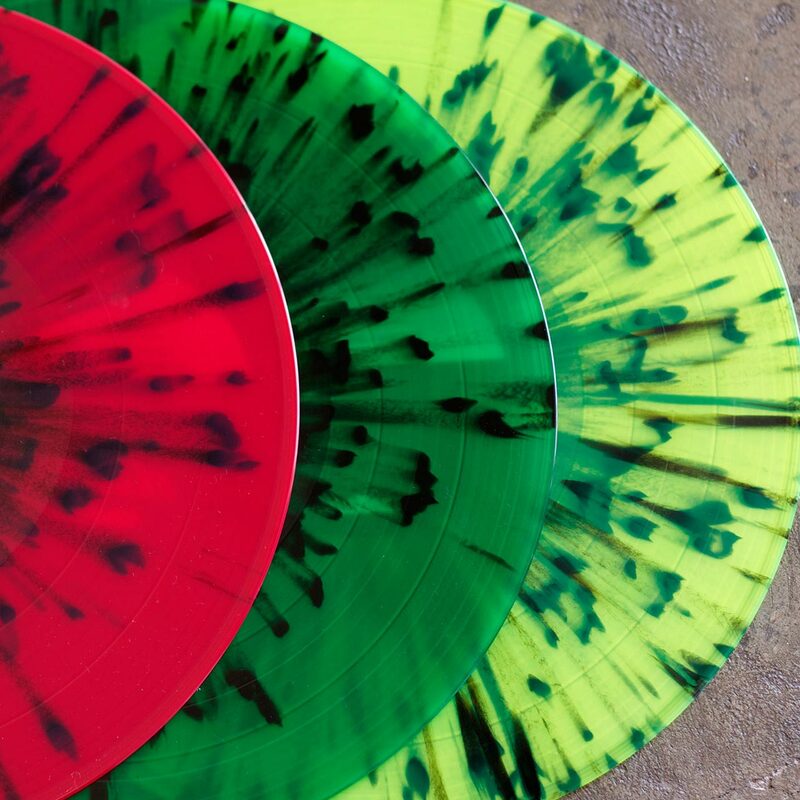 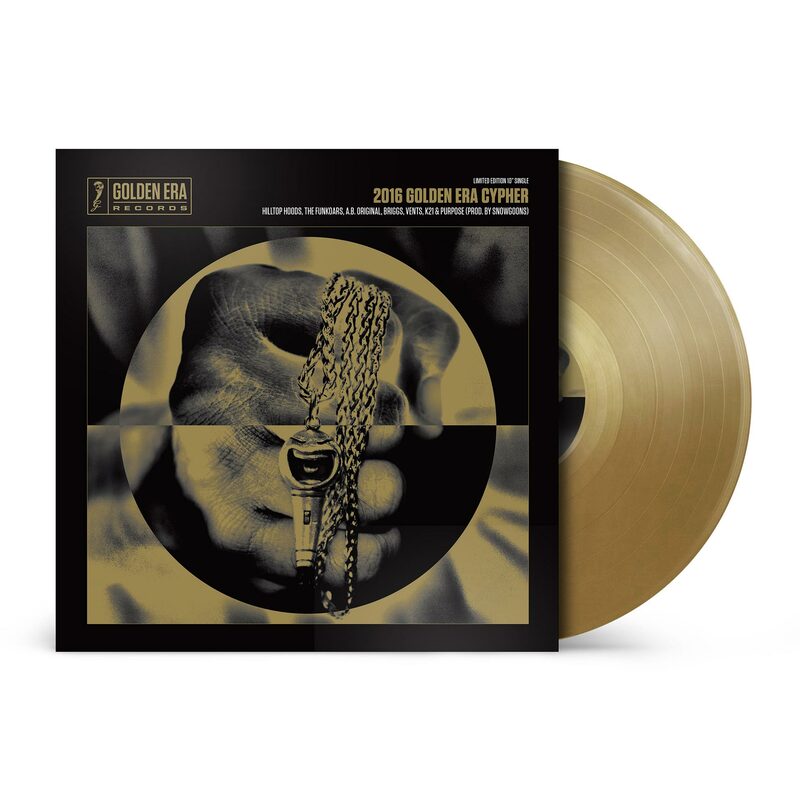 A77 has handled the majority of their graphic design needs since the label’s inception, including their website, merchandise and multiple vinyl and CD package designs. 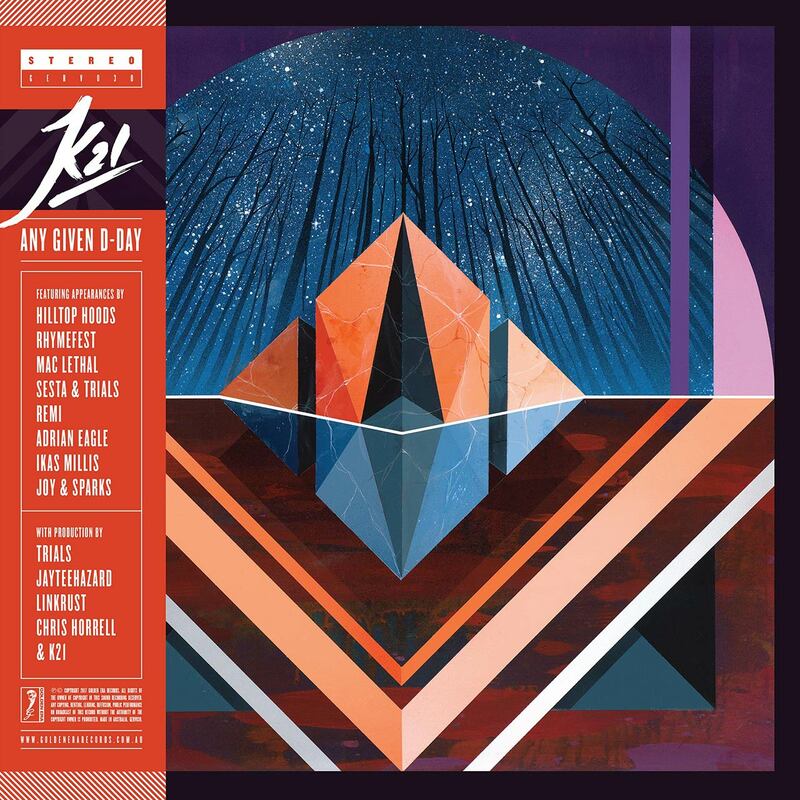 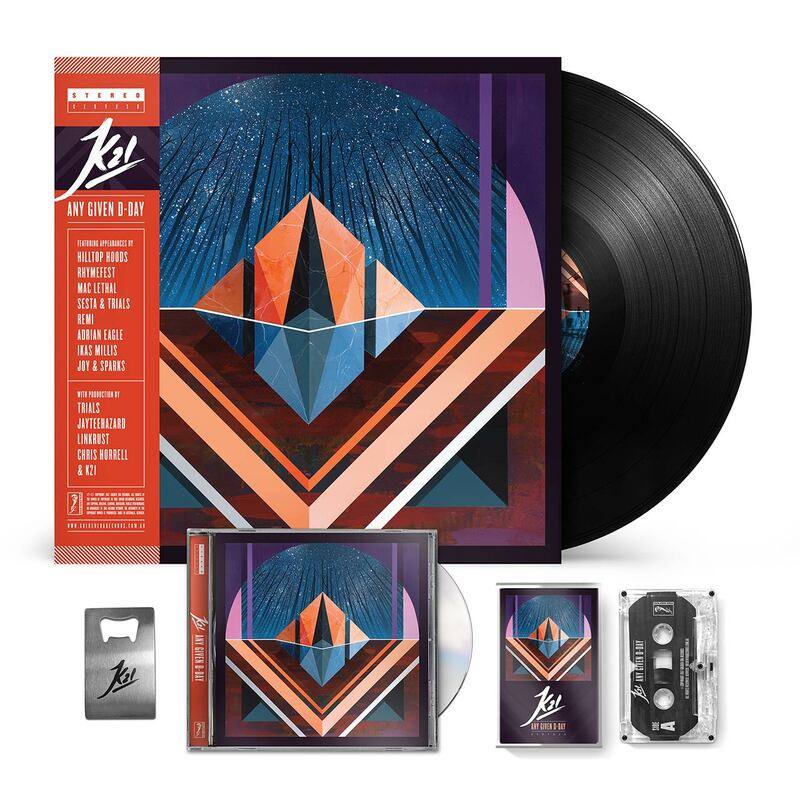 Packaging Design for K21 ‘Any Given D-Day’ (Golden Era Records 2017), featuring an incredible cover illustration by Vans the Omega. 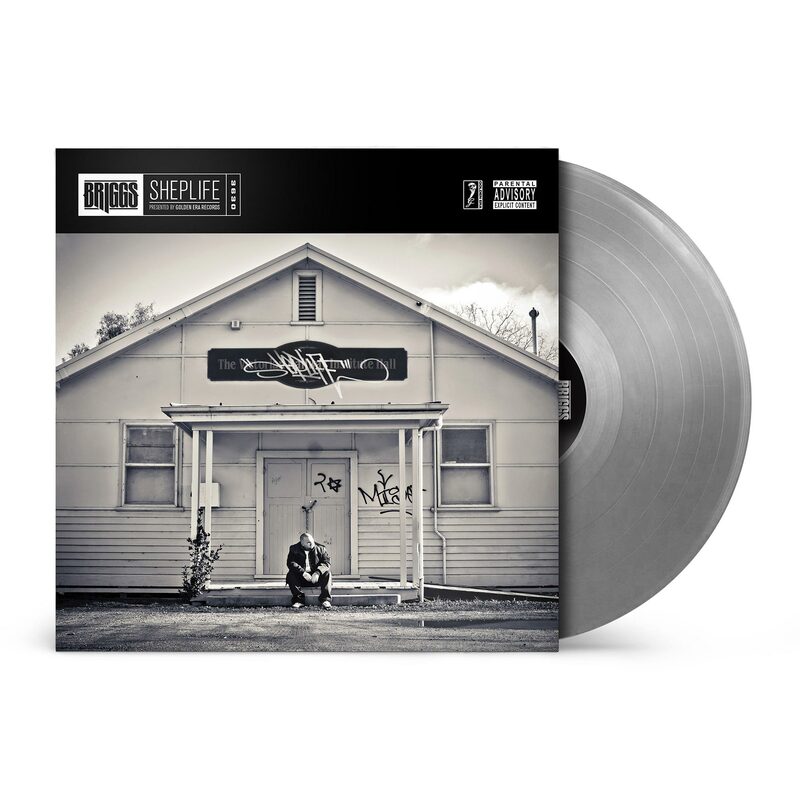 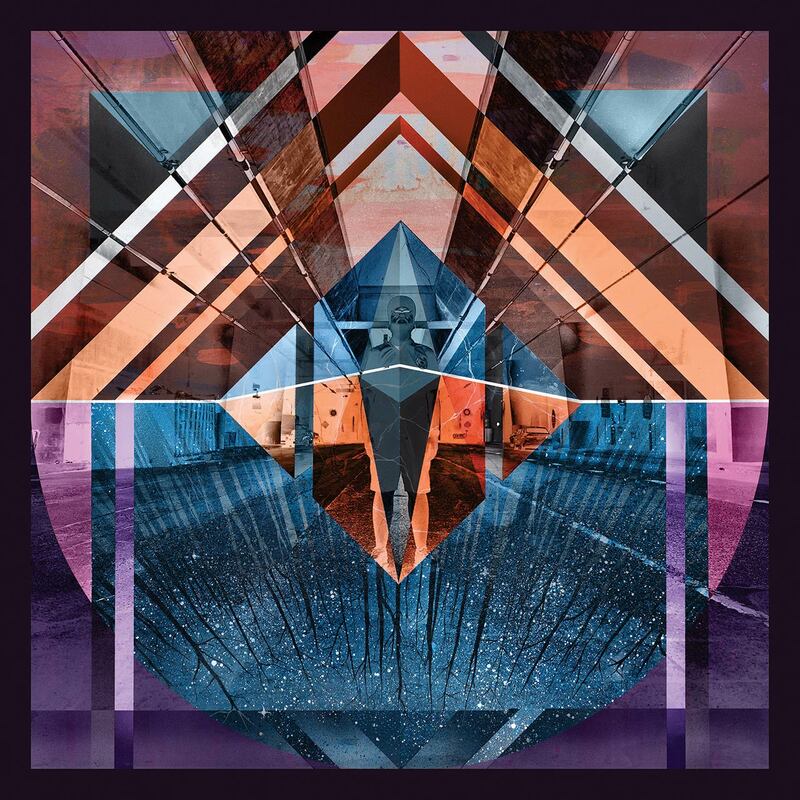 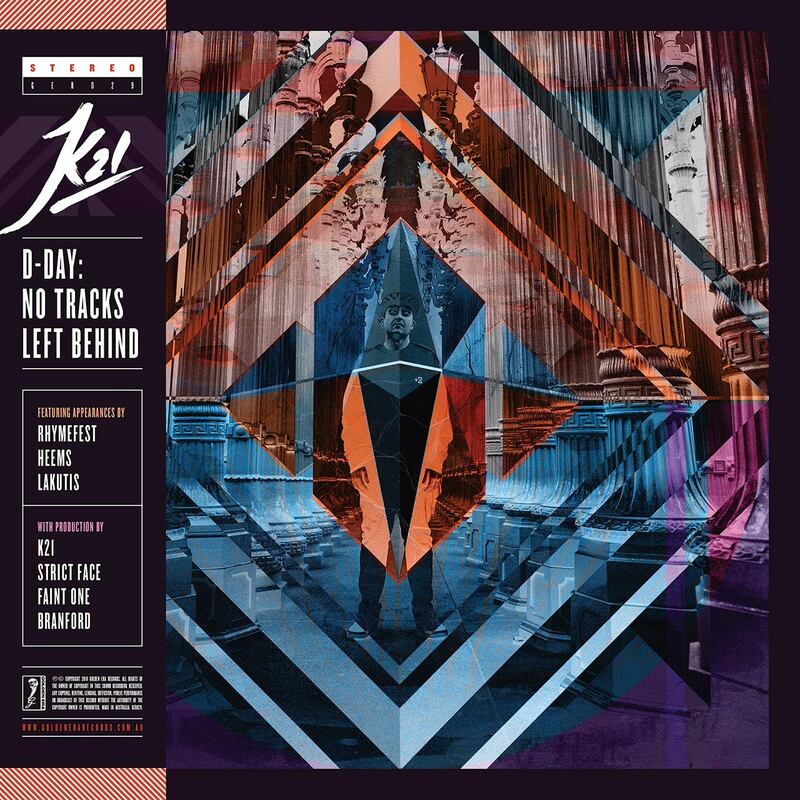 The album roll-out included Vinyl, CD, Cassette and digital artwork plus design for the ‘No Tracks Left Behind’ bonus EP. 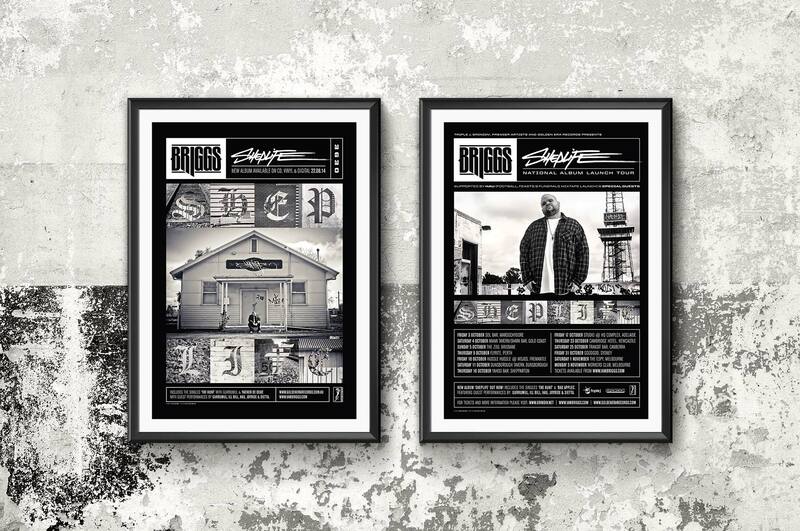 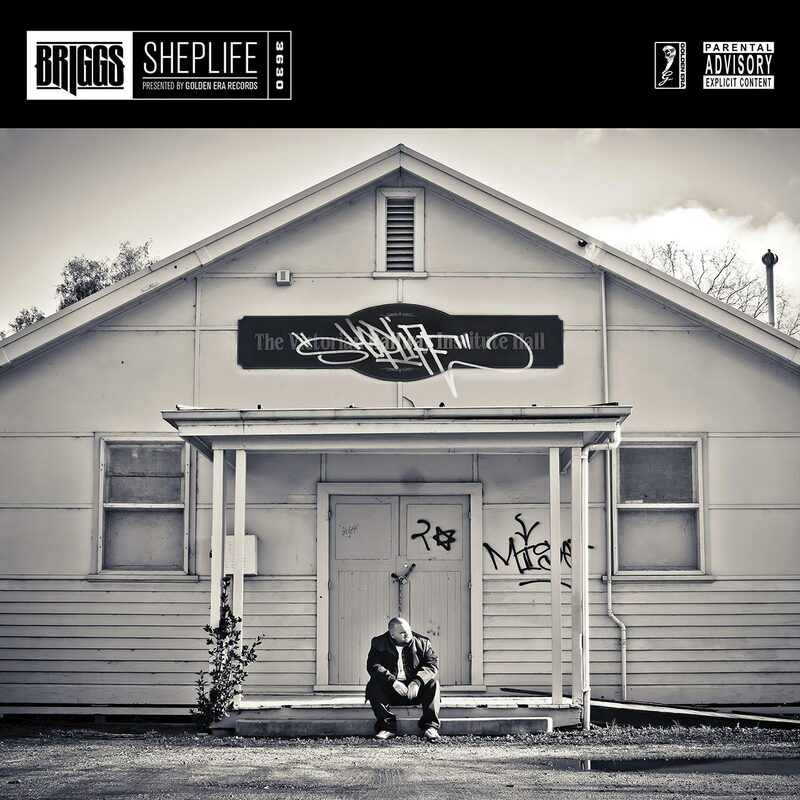 We worked with Briggs on his debut LP ‘The Blacklist’ and his follow up ‘Sheplife’ in 2014. 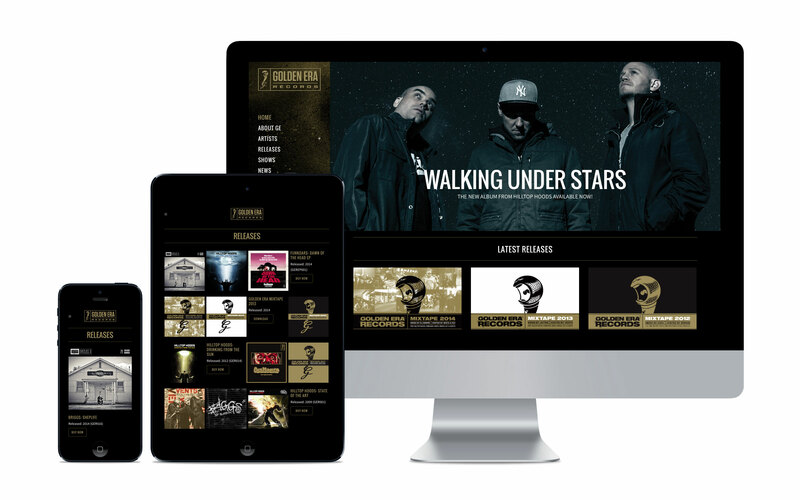 For both albums we handled the layout and design of the album packaging and associated tour campaign. 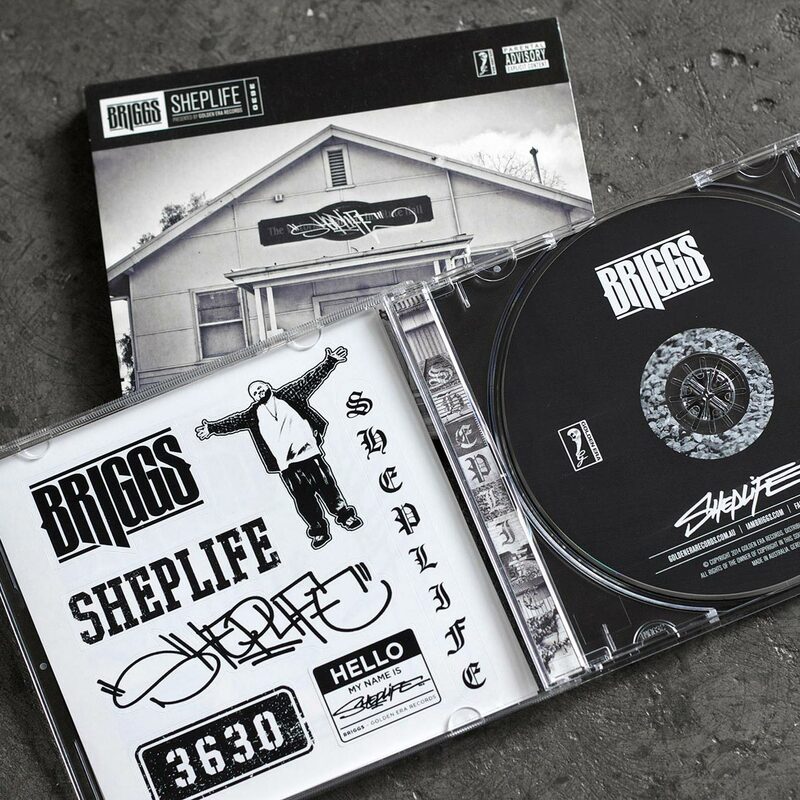 The concept for the ‘Sheplife’ artwork was to represent Briggs’ home town of Shepparton with a series of environment and portrait photos. 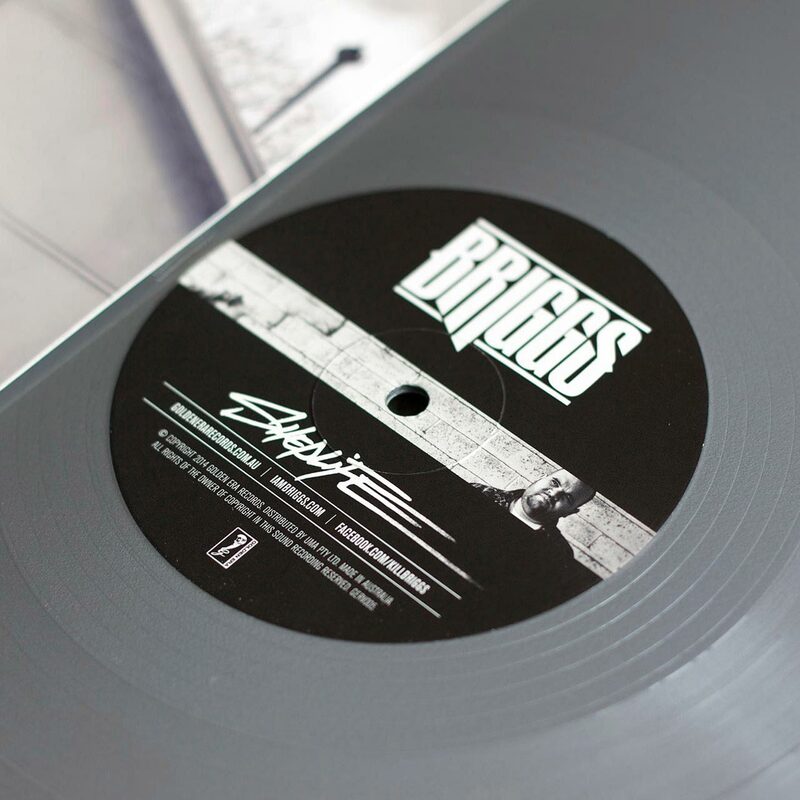 We also created some sticker pages including Briggs/Sheplife logos and tags for fans to stick over the various wall textures throughout the lyrics booklet. 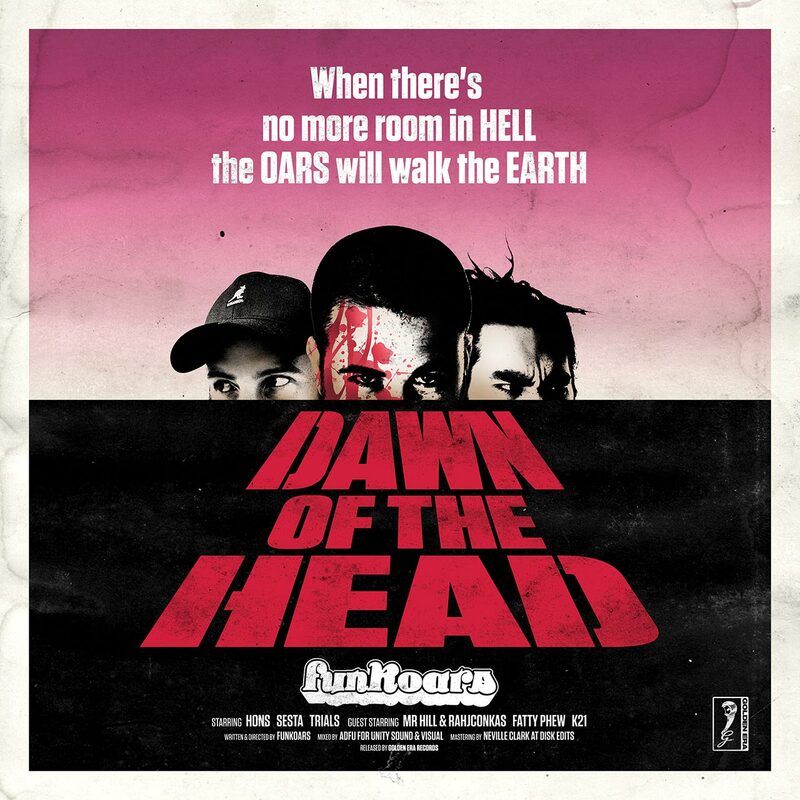 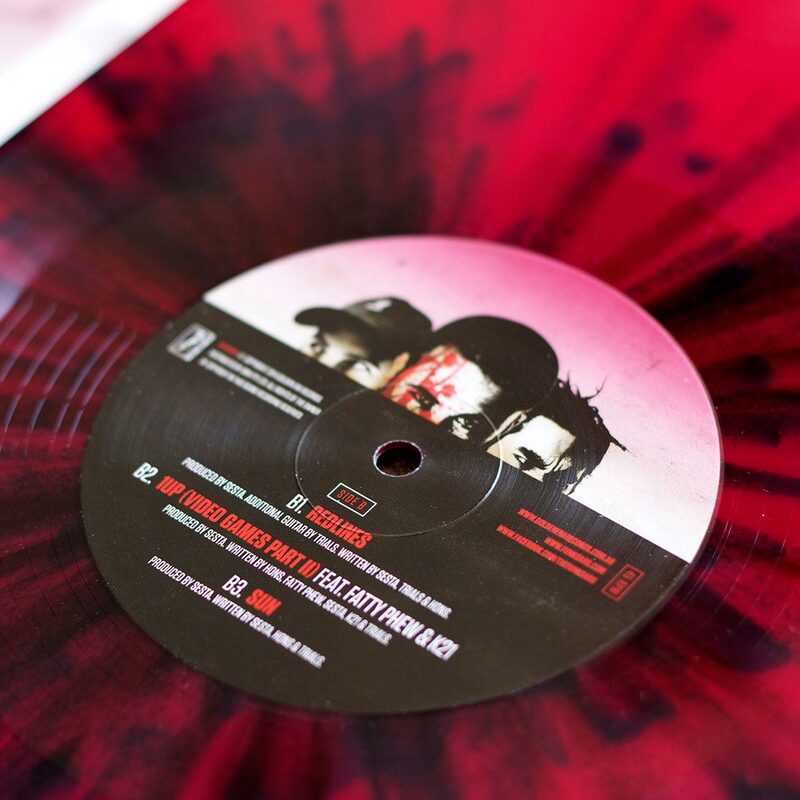 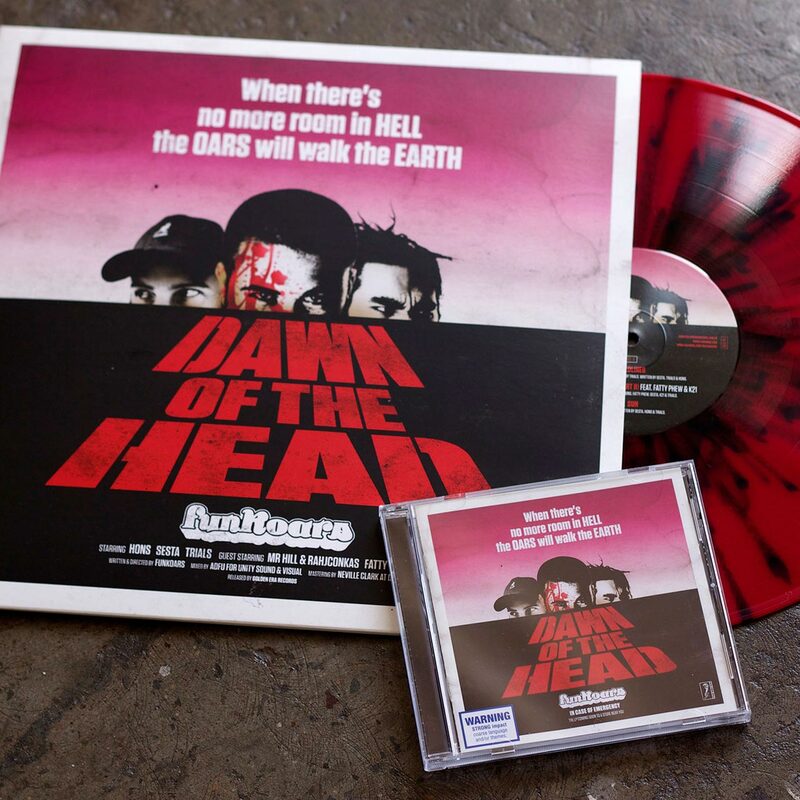 The design for Funkoars ‘Dawn of the Head’ EP campaign comprised of the CD and limited edition vinyl artwork (with a variety of splatter vinyl colours), national tour art and a limited run T-shirt design in collaboration with DVNT Clothing, Funkoars and April77 Creative. 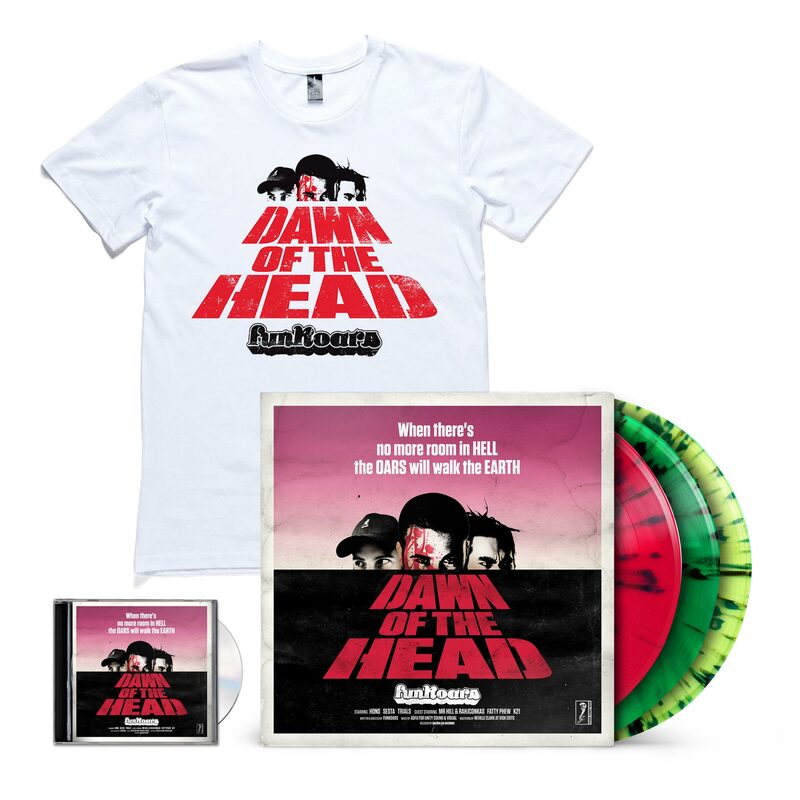 The design concept is an homage to George Romero’s classic ‘Dawn Of The Dead’ artwork. 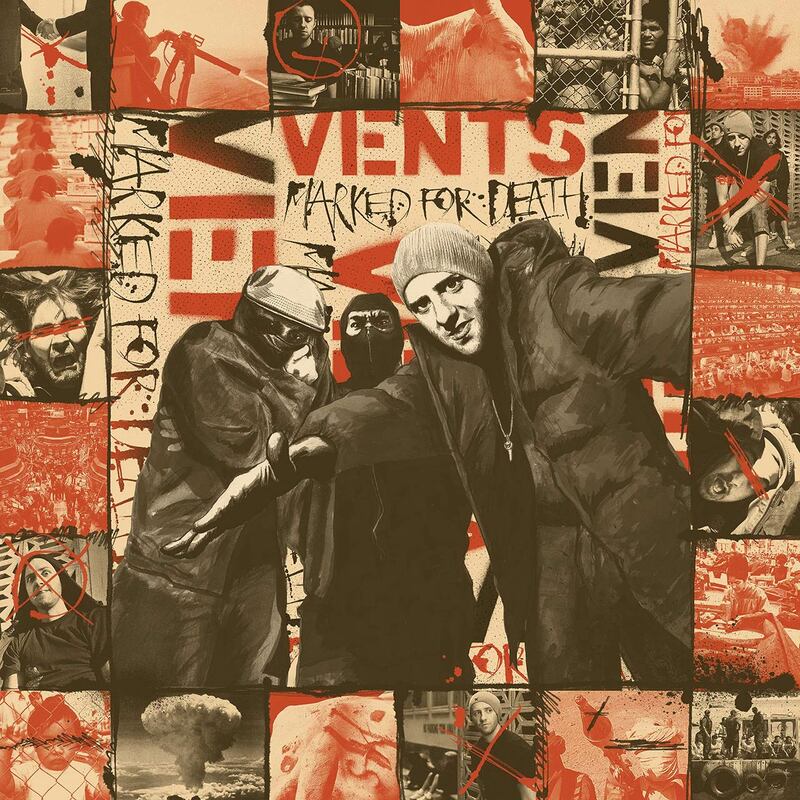 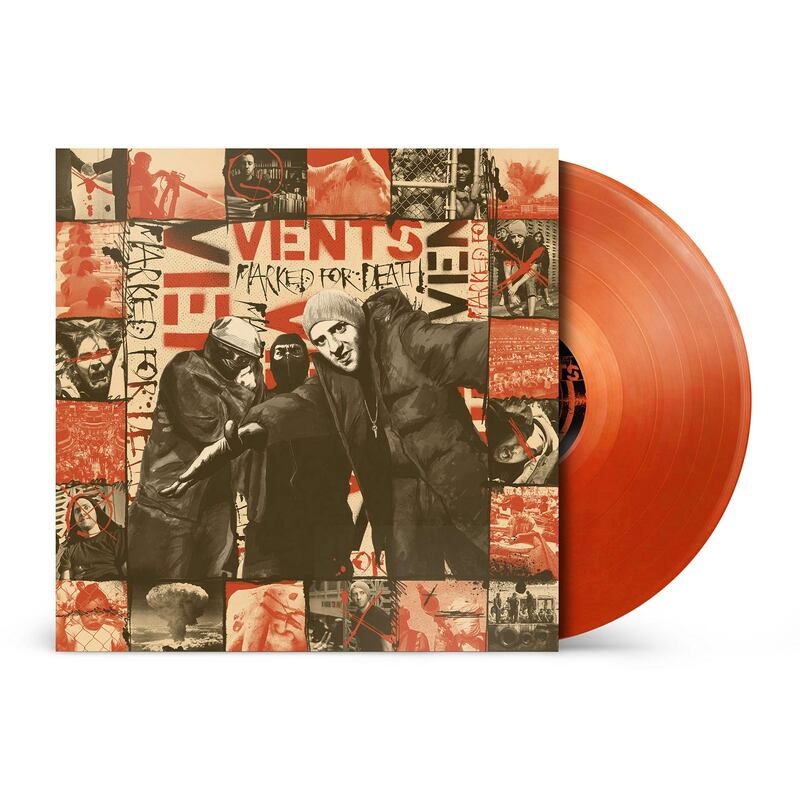 We developed a complete design package for Vents second album ‘Marked For Death’ which includes a custom cover illustration and hand drawn logo-type in a consistent style to his debut LP. 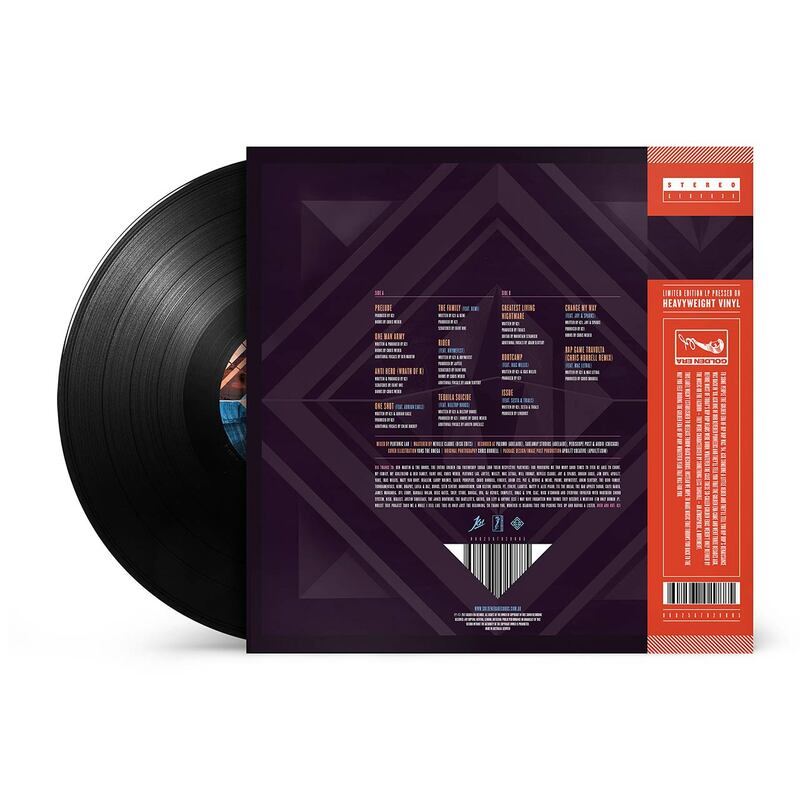 The CD packaging also includes a translucent slip-case which when placed over the cover features a target graphic aimed at the illustration of Vents, Trials and DJ Ad-Fu.